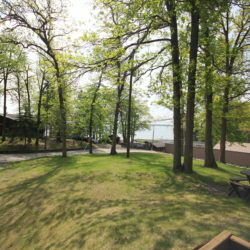 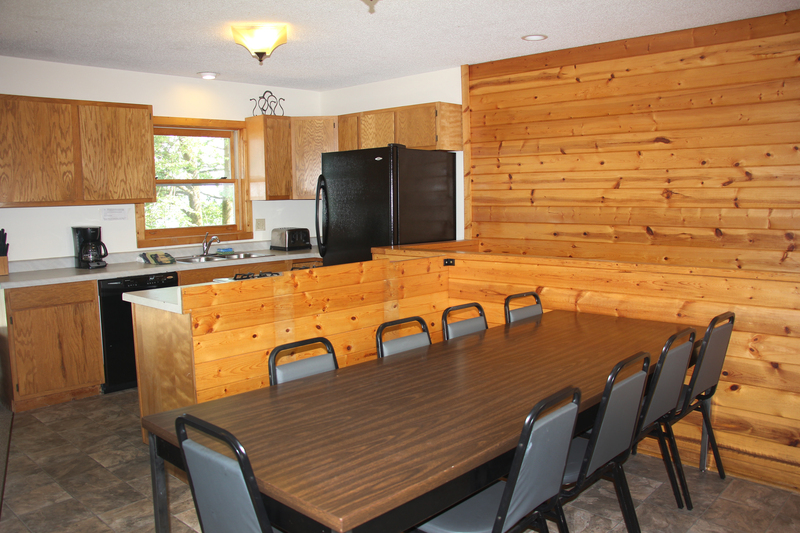 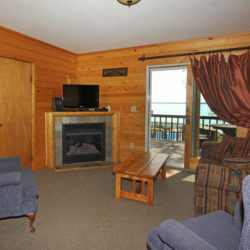 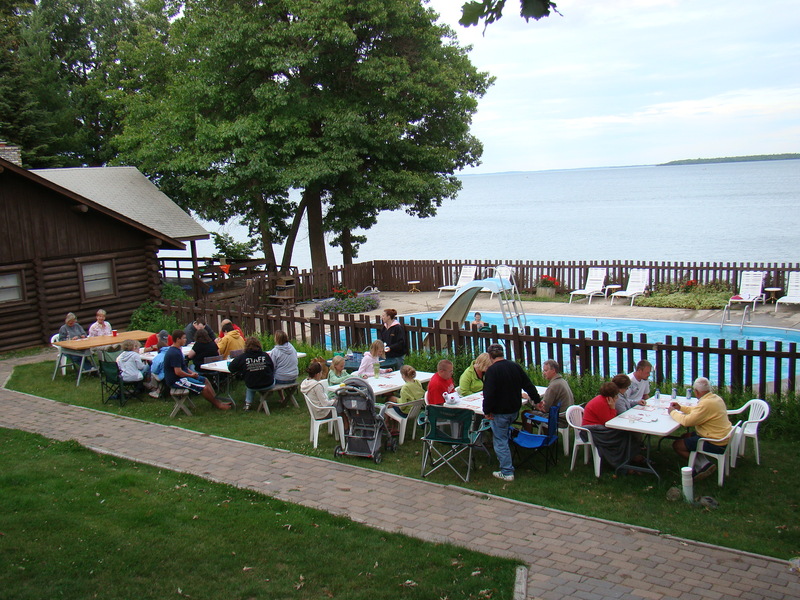 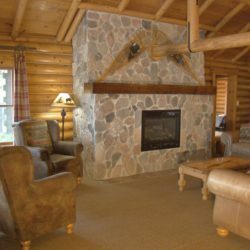 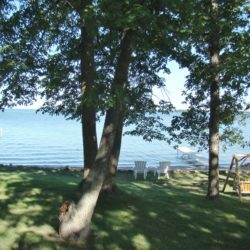 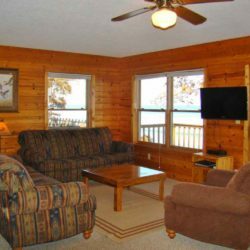 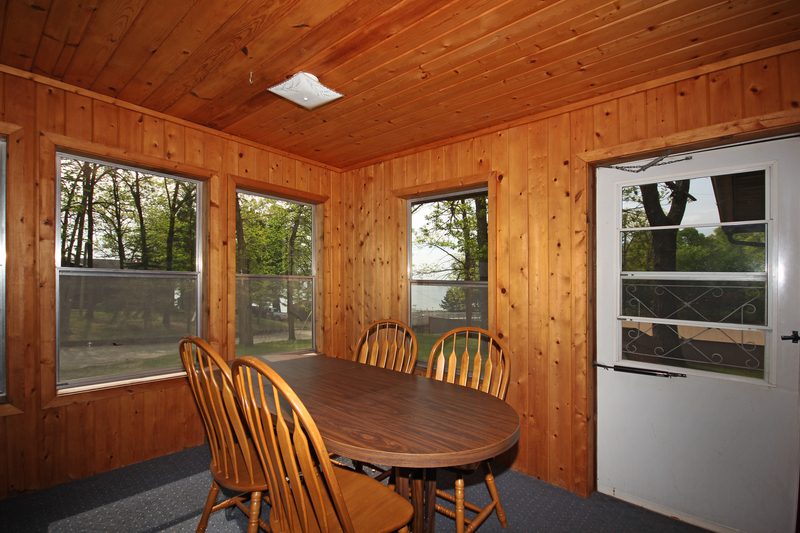 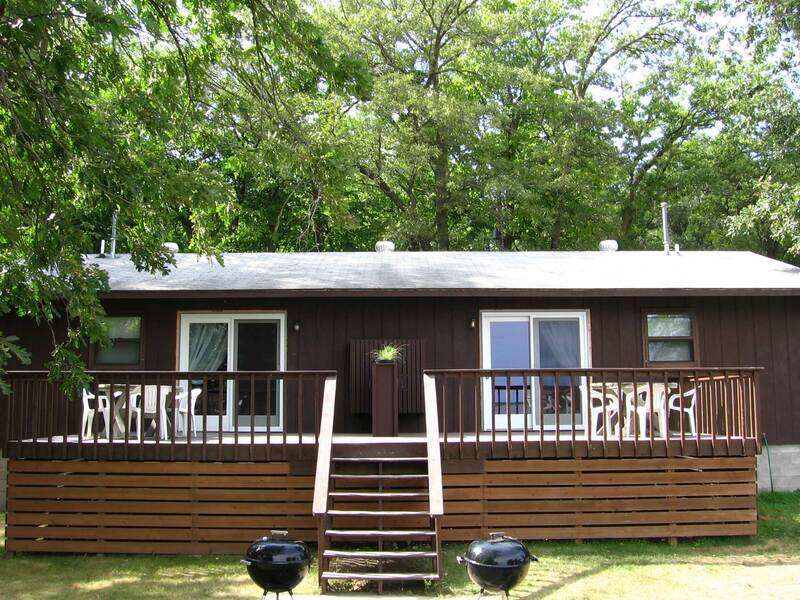 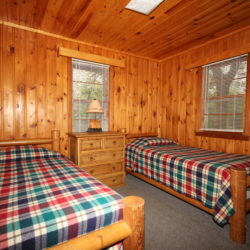 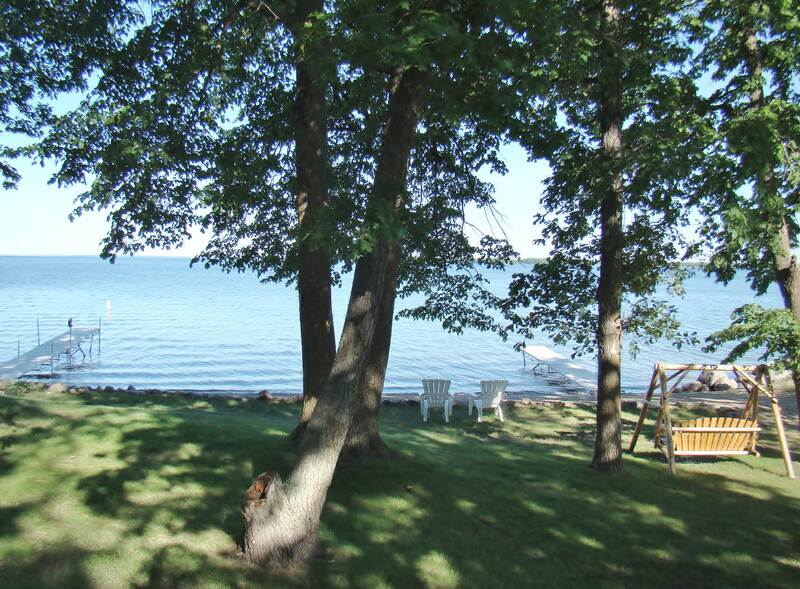 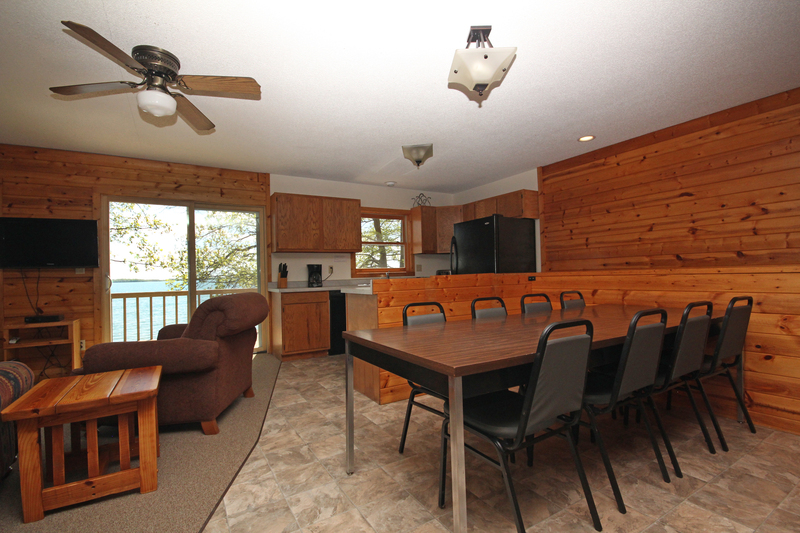 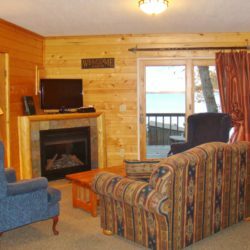 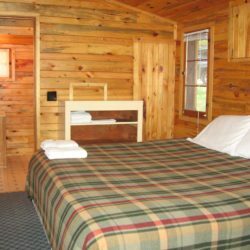 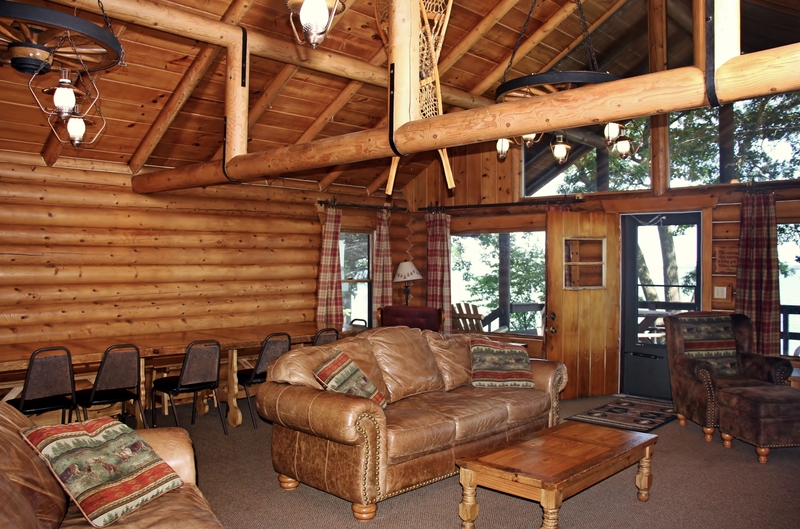 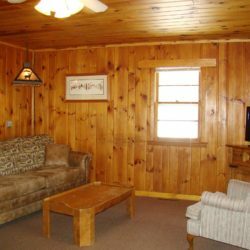 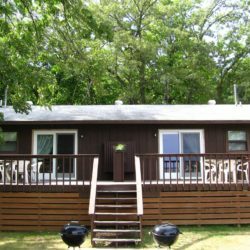 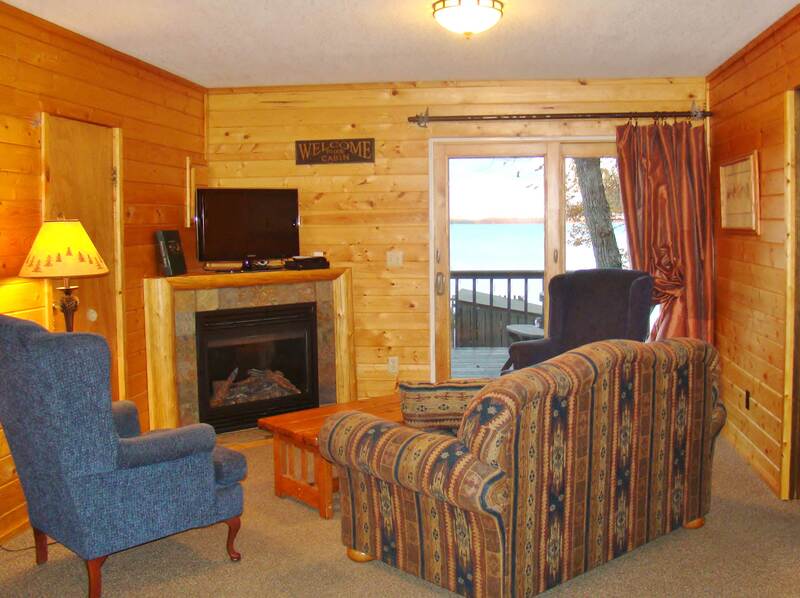 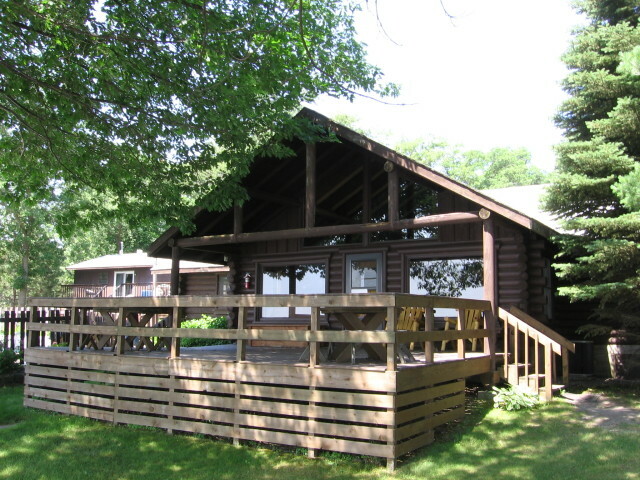 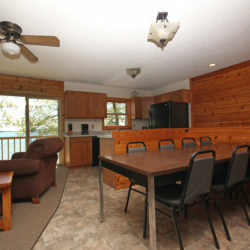 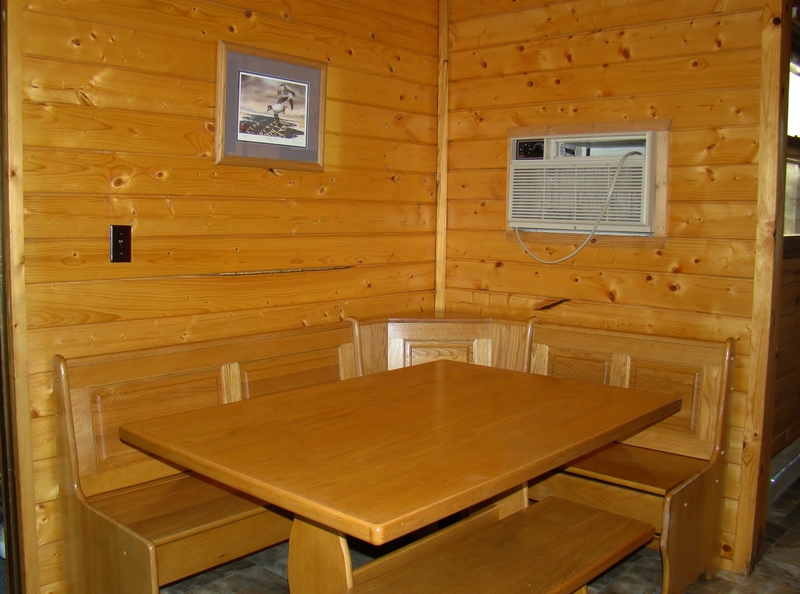 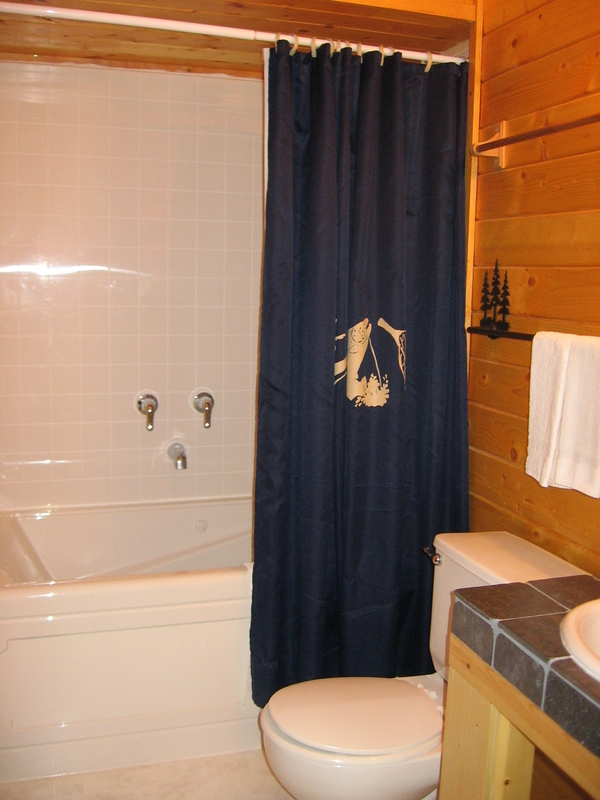 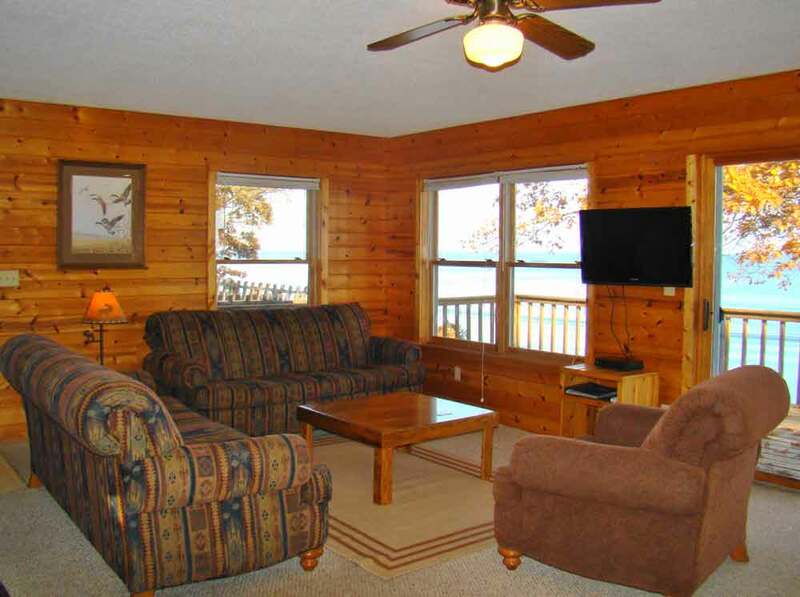 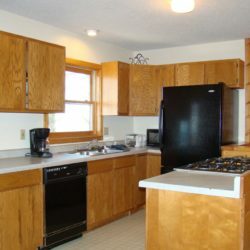 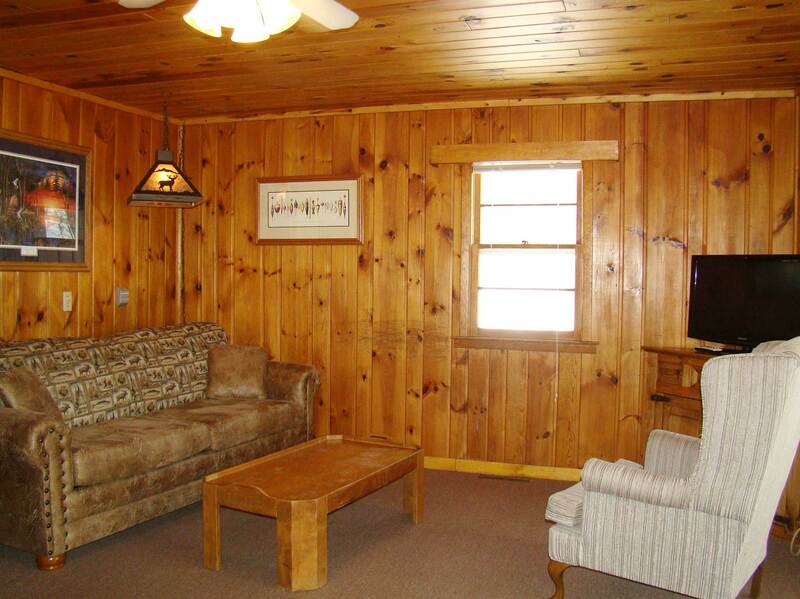 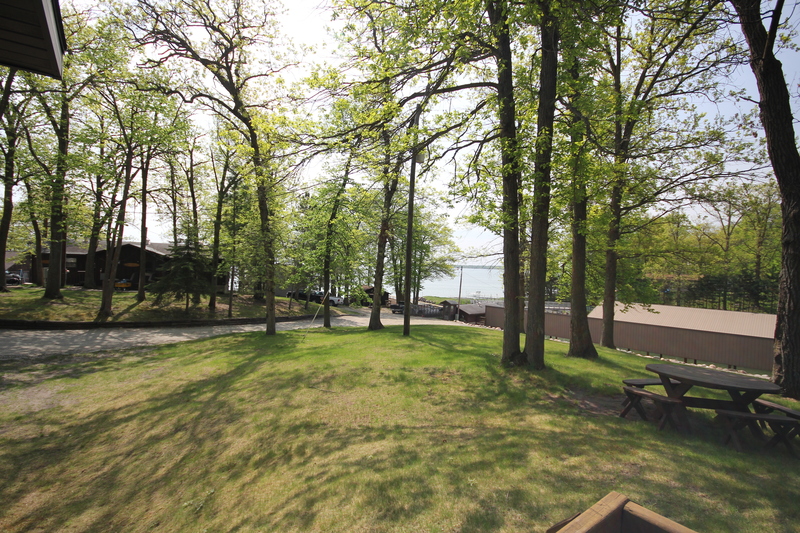 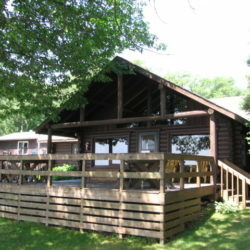 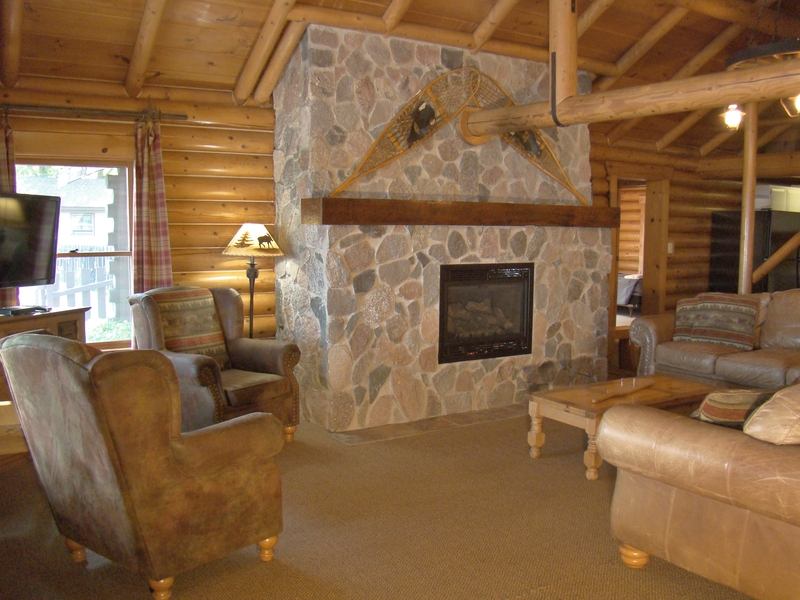 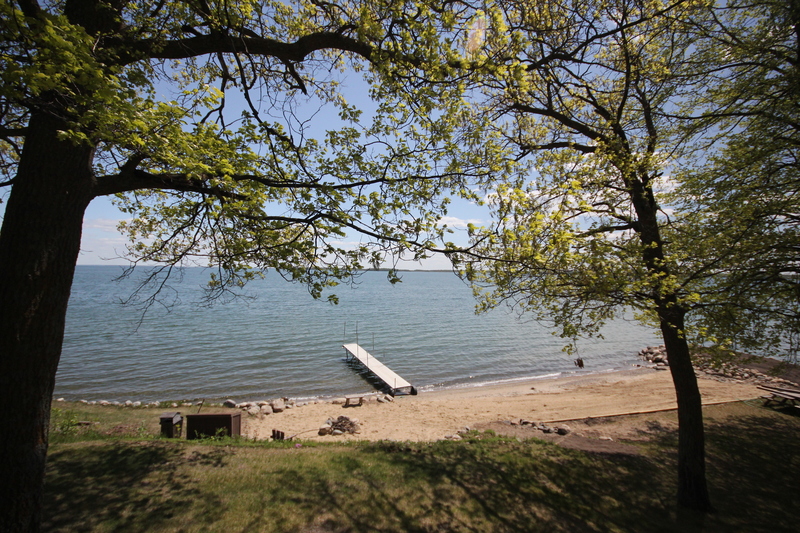 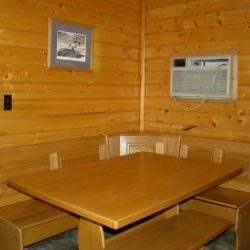 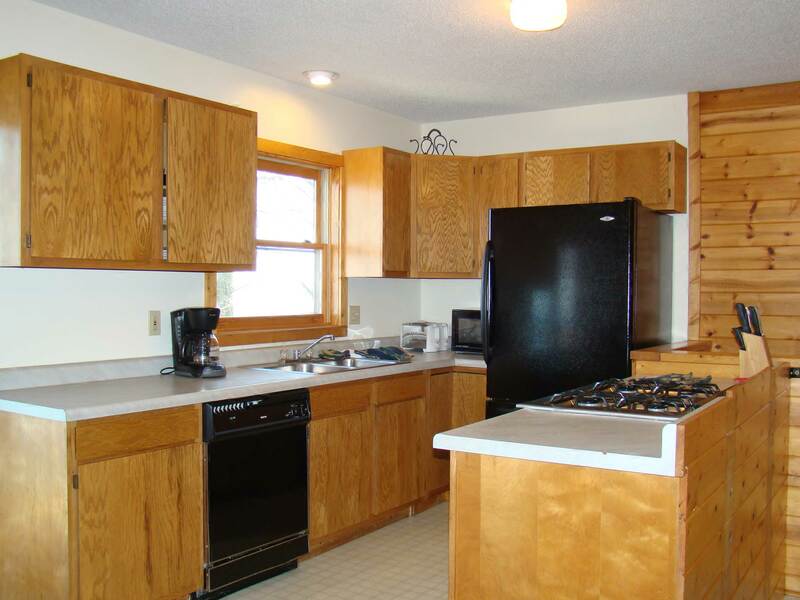 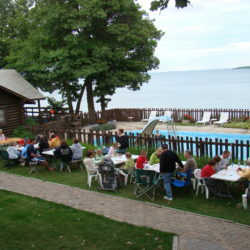 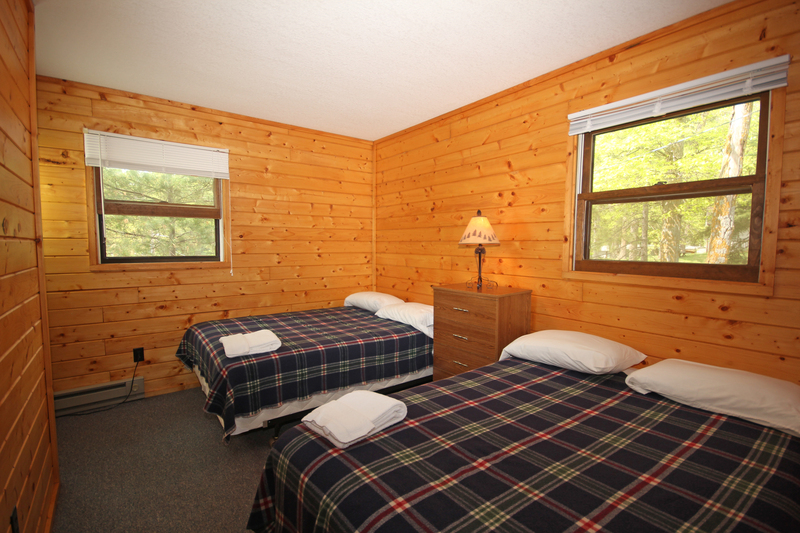 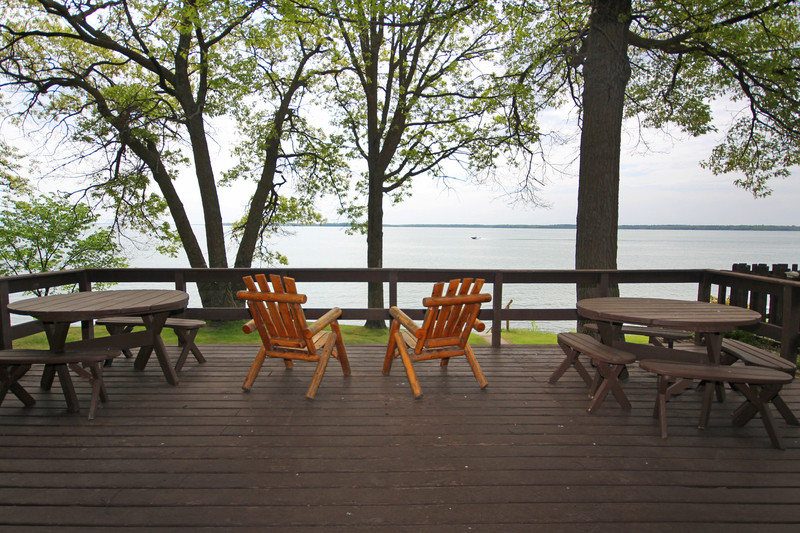 Luxurious reunion lake homes and cozy lake cabins set in a friendly private Minnesota resort on Leech Lake. 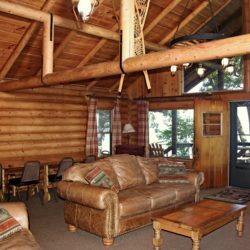 Discover a resort that is small enough for personalized service and large enough to find an exciting activity for everyone. 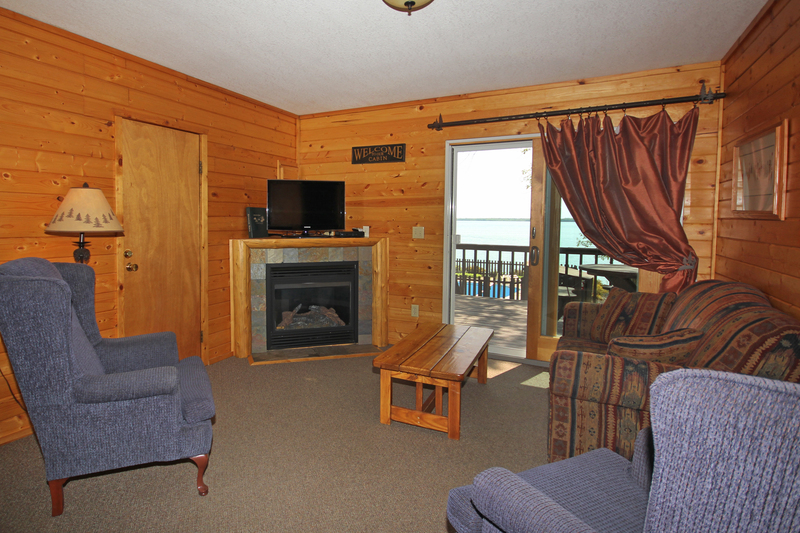 Sit back, unwind and enjoy, we’ll take care of the little things that add up to a relaxing vacation. 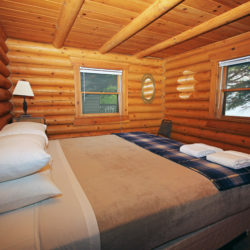 Follow this link for Winter rates. 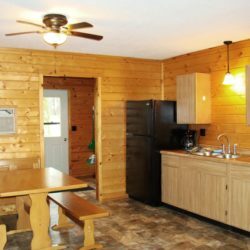 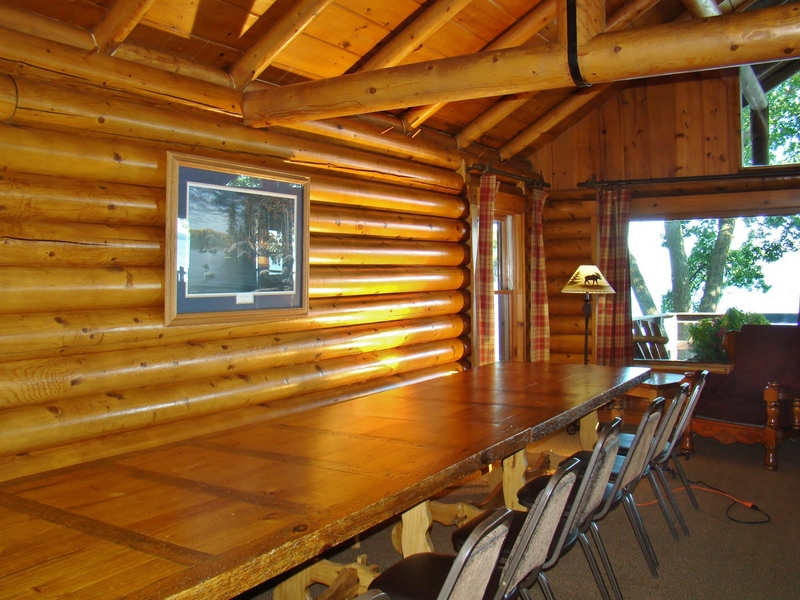 This authentic log home cabin offers five bedrooms plus sleeping loft, three baths, complete kitchen with two refrigerators, dishwasher and central air conditioning. 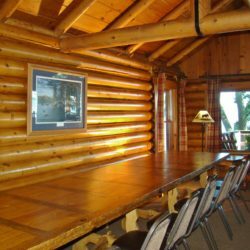 With many upgrades to the interior the great room has vaulted ceilings and rustic farm table dining area large enough to seat all your guests. 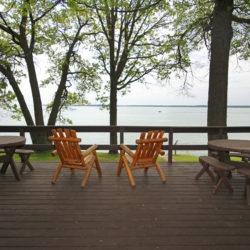 The sundeck offers exceptional views of the lake and pool. 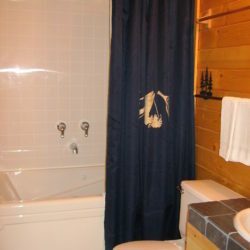 Rate is based on fifteen and can accommodate nineteen. 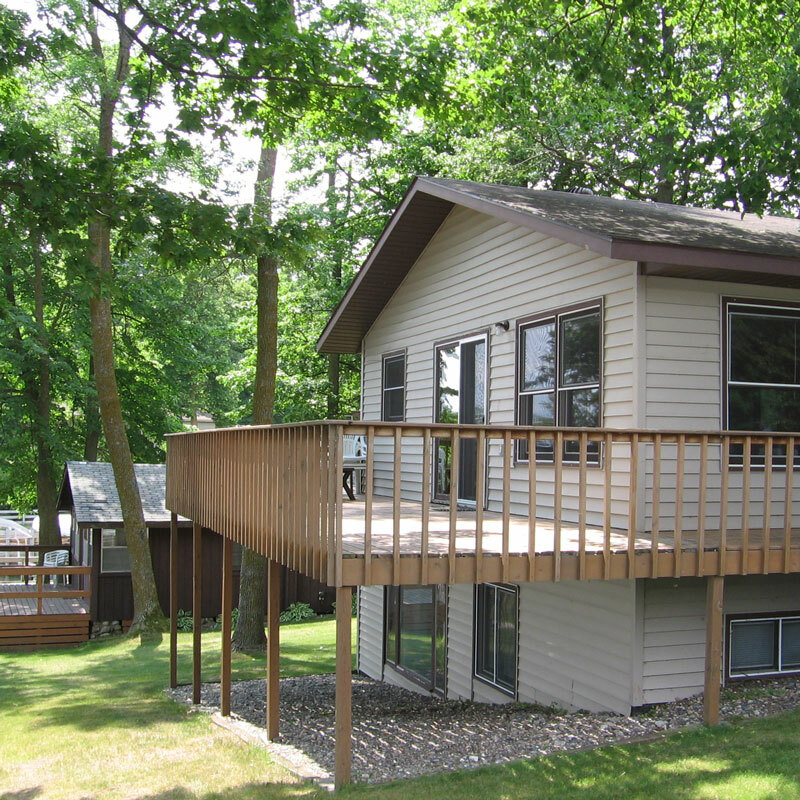 This two story, walk-out lake home cabin offers a deck just 35′ from the lake shore. 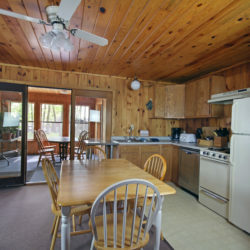 A four bedroom with two baths a Jacuzzi bathtub, heated sauna and central air conditioning. 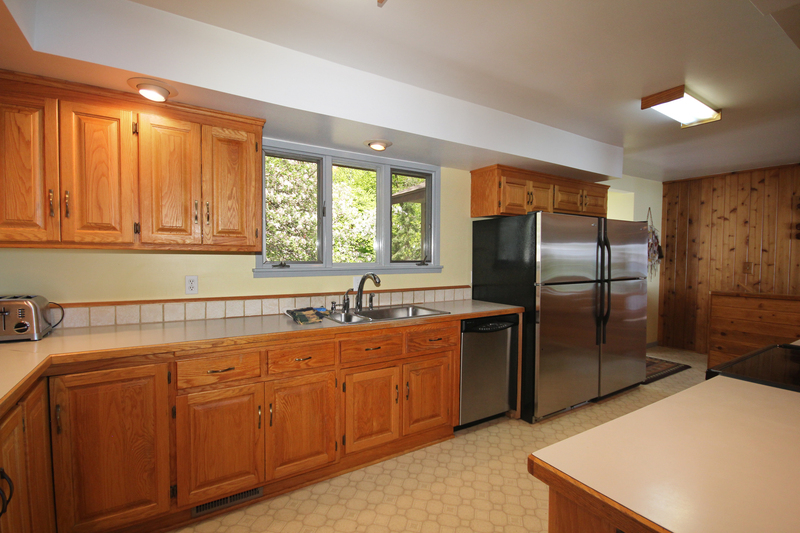 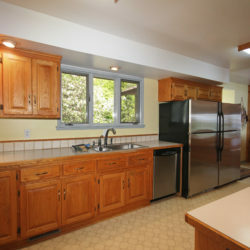 The kitchen is complete with two refrigerators, dishwasher and lots of storage. 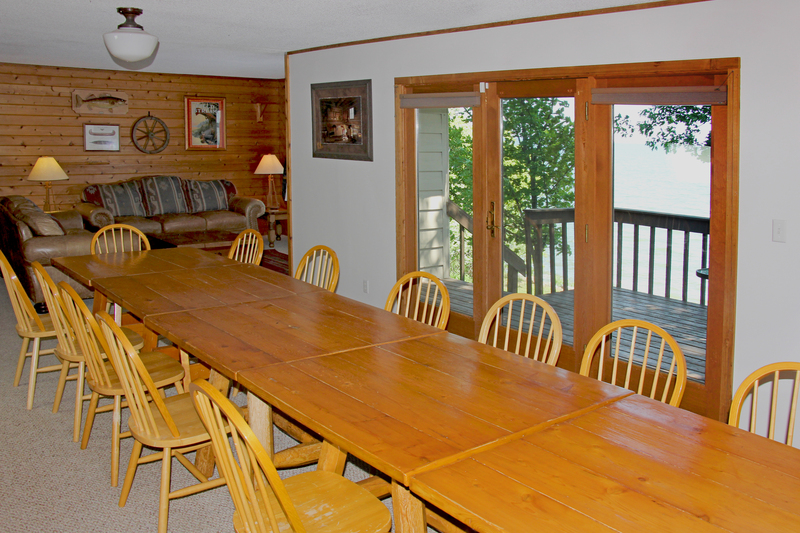 Enjoy the magnificent views from your large dining room with French doors leading to your deck. 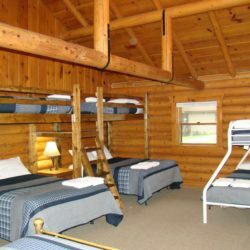 Rate based on ten and can accommodate sixteen. 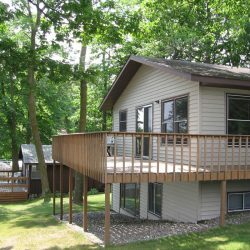 This beautiful two story walk out lake home cabin offers four bedrooms, two full baths, and complete kitchen with dishwasher, a family room on each level with TV and Direct TV, central air conditioning and a wraparound sundeck with outstanding views of the lake and pool. 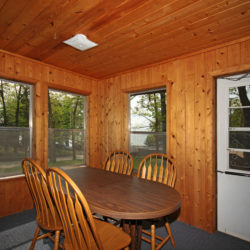 Rate is based on ten and can accommodate sixteen. 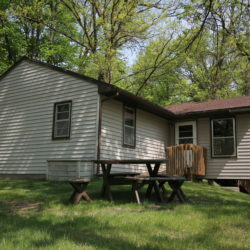 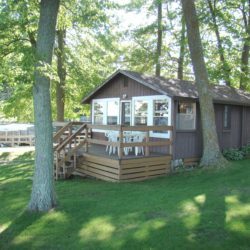 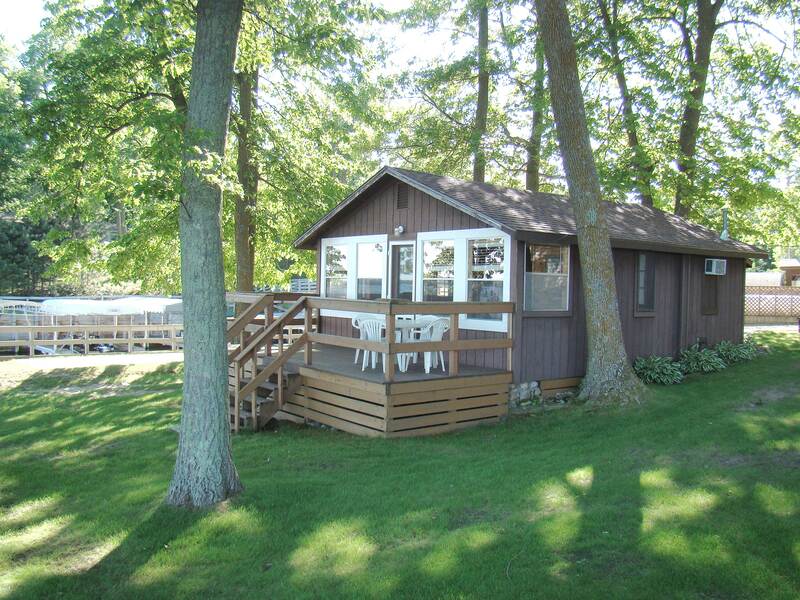 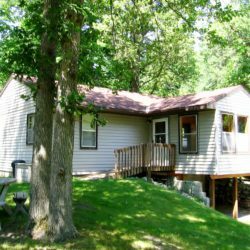 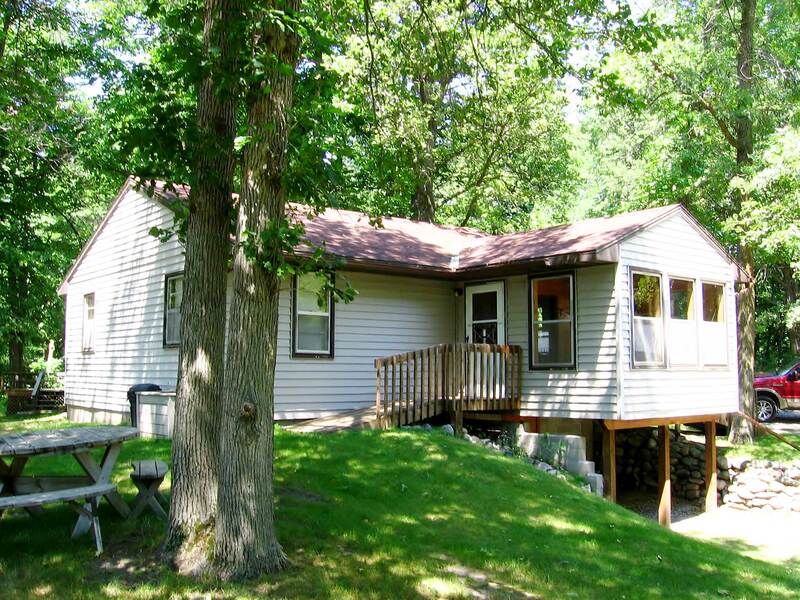 This lake home cabin offers three bedrooms, full bath and complete kitchen with dishwasher, central air conditioning, TV with Direct TV and a three season sun room with a bird’s eye view of the lake. 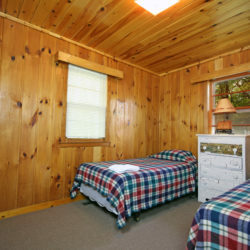 Rate is based on six and can accommodate eight. 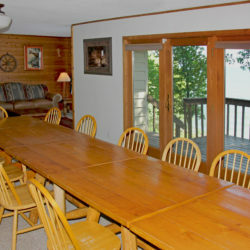 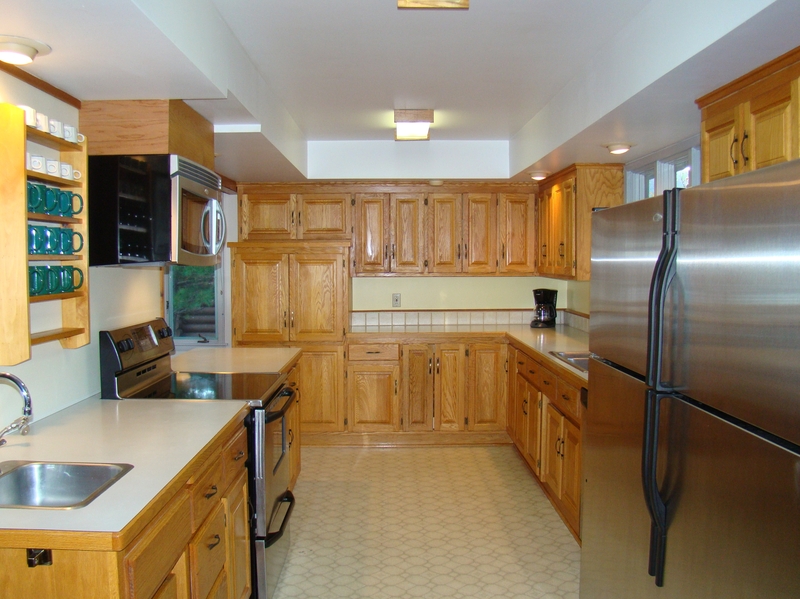 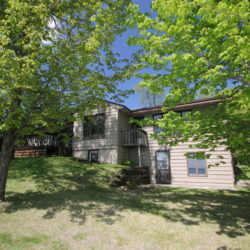 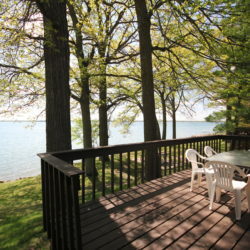 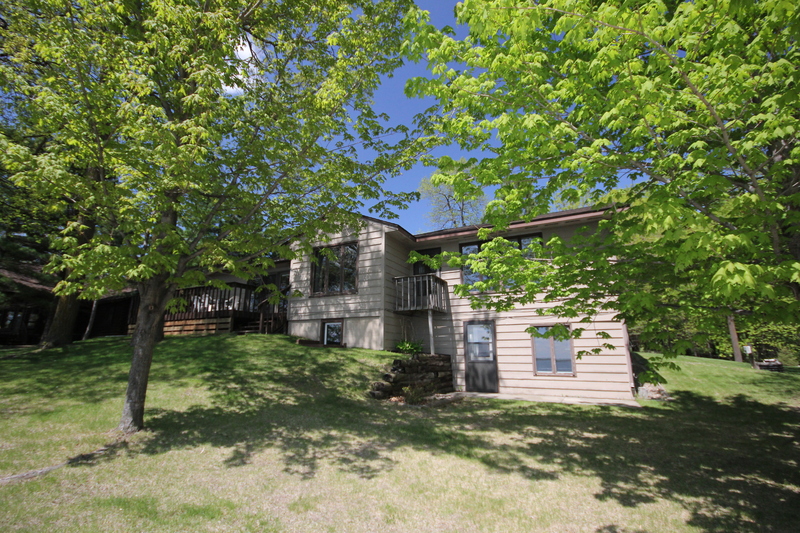 This air conditioned condo duplex houses two lake home cabins, each with two bedrooms. 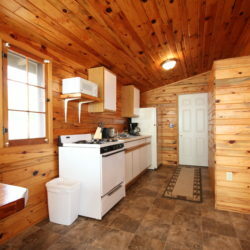 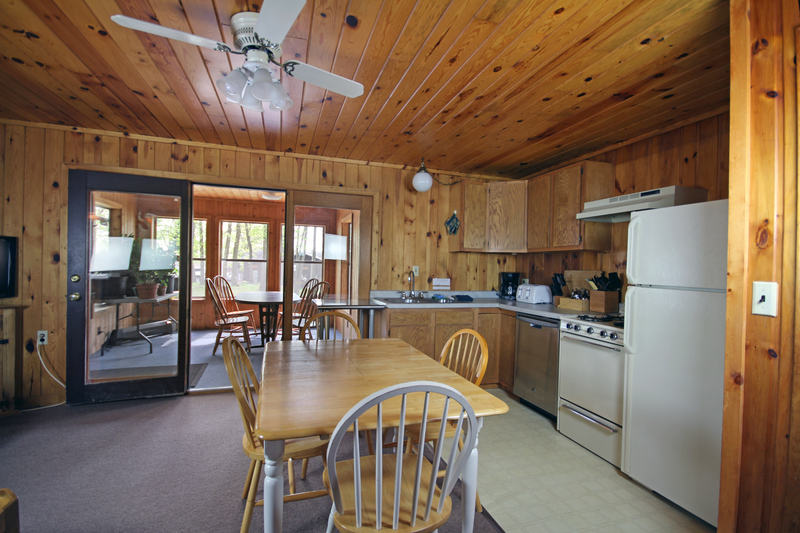 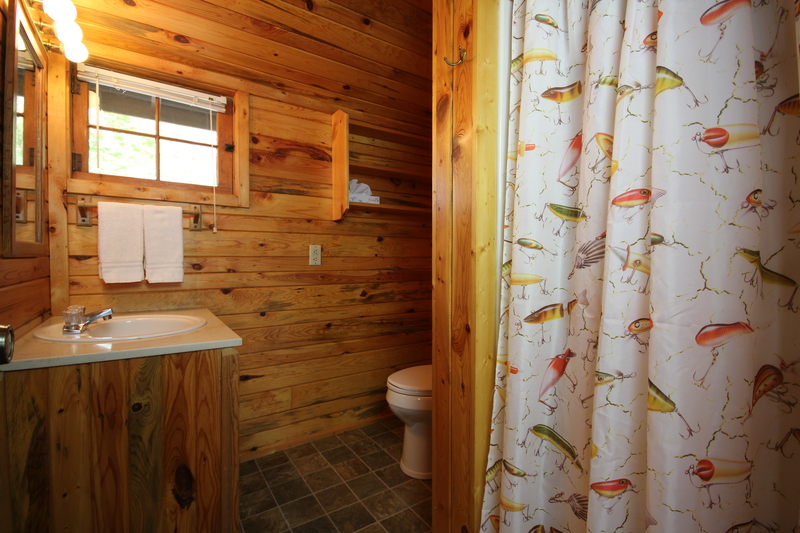 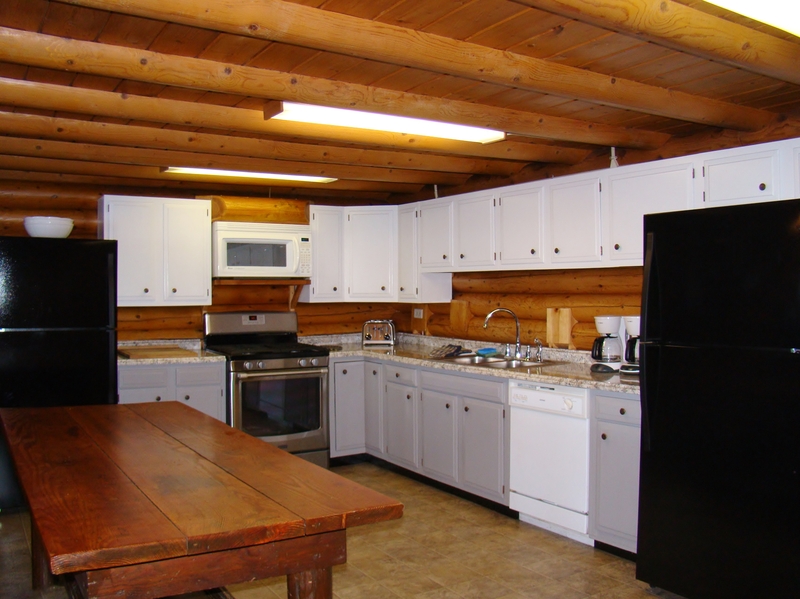 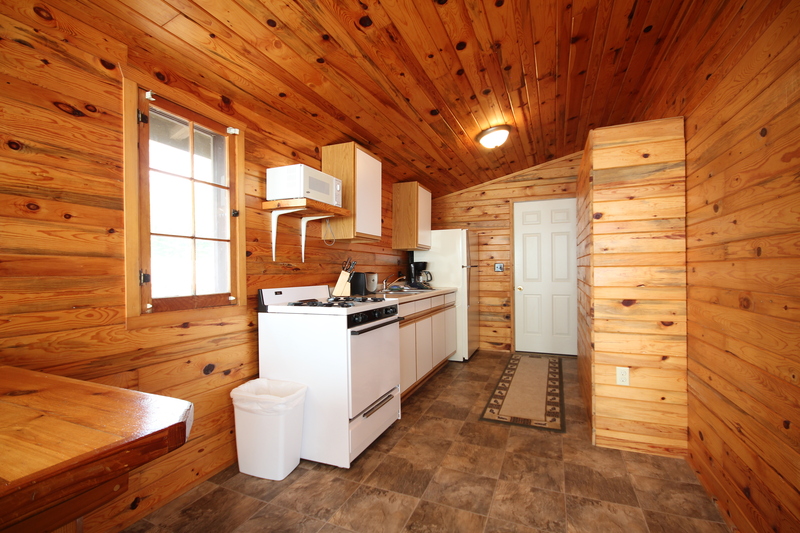 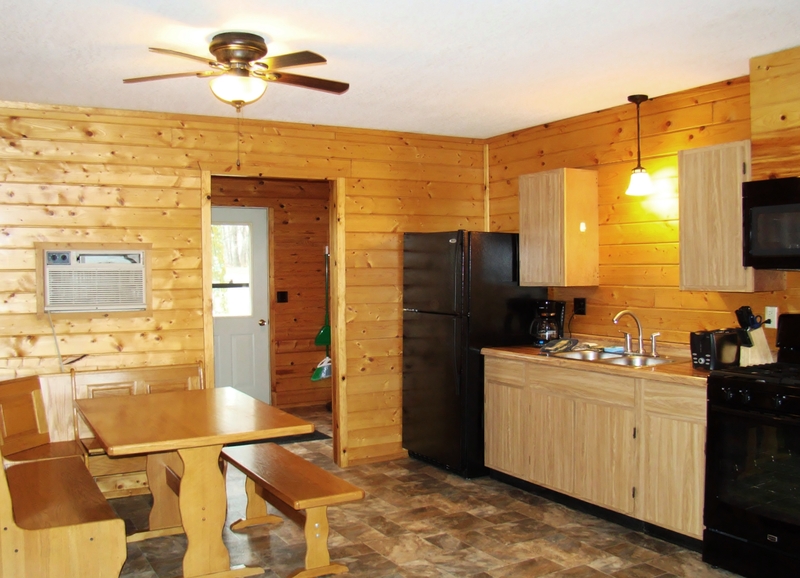 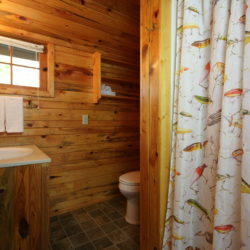 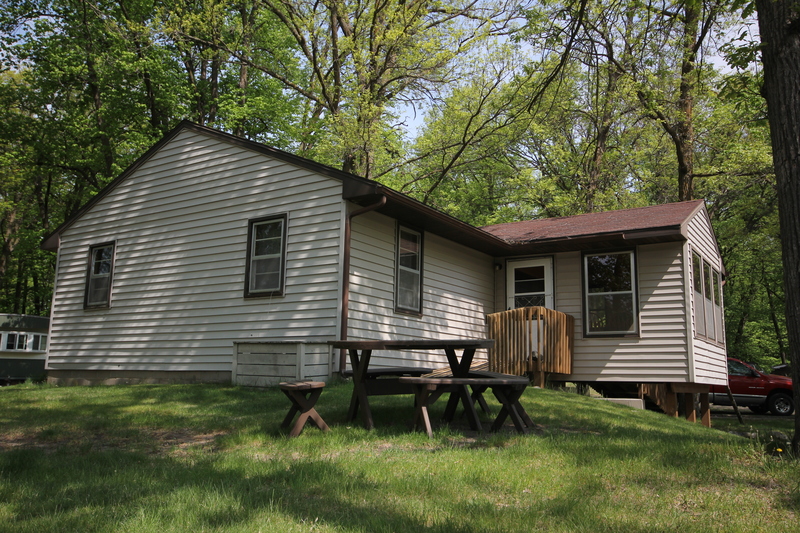 Each lake home cabin includes fireplace, whirlpool bathtub and full kitchen. 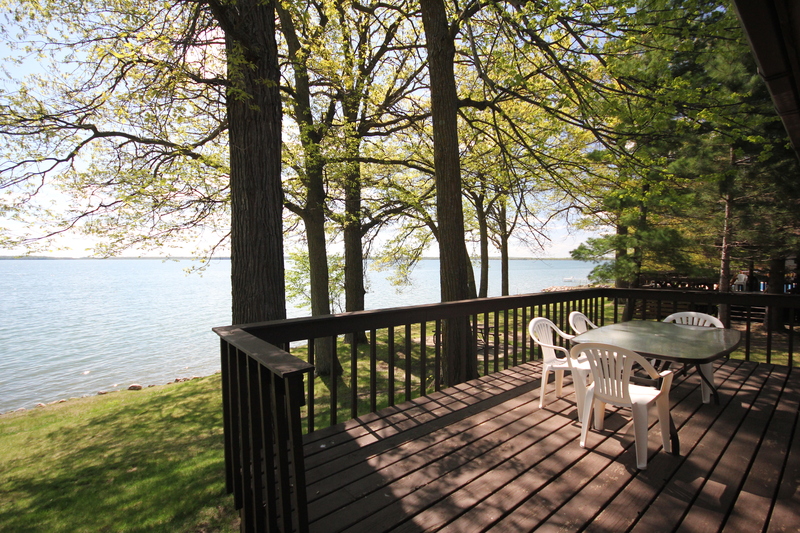 Enjoy breathtaking views of the swimming pool and the lake from your deck. 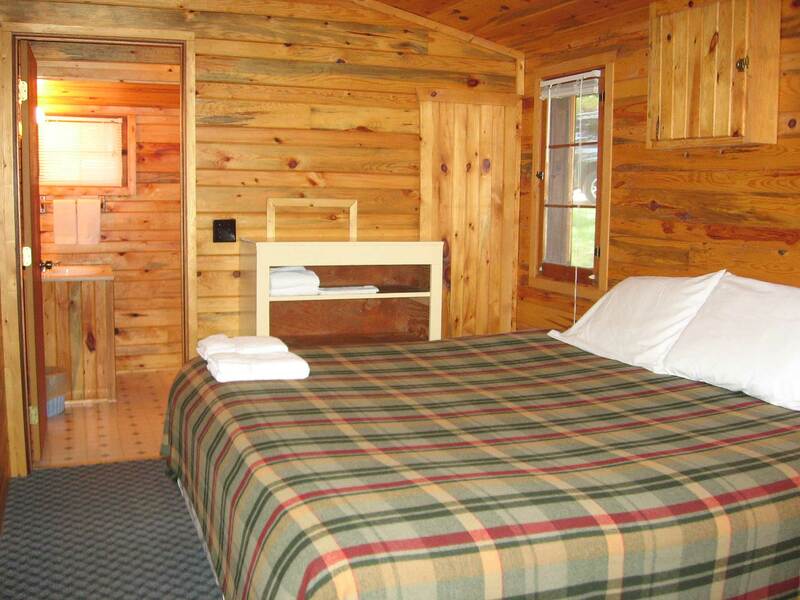 Rate based on four and can accommodate six. 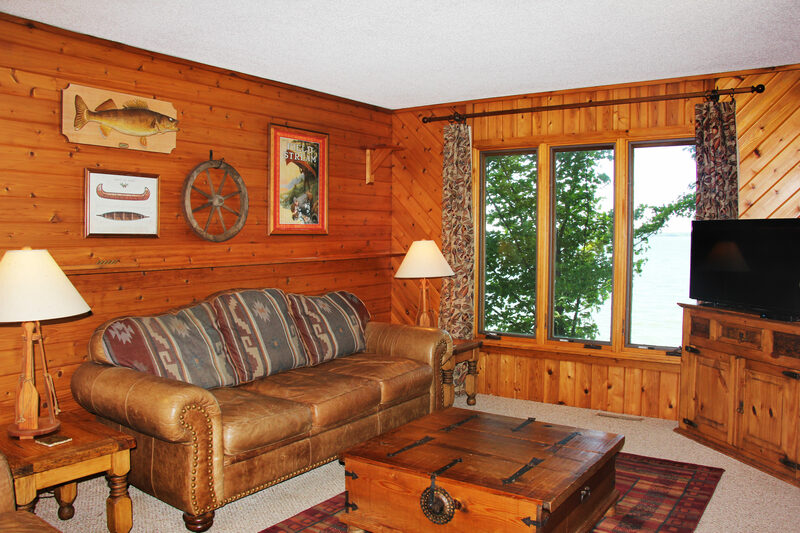 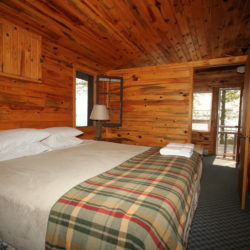 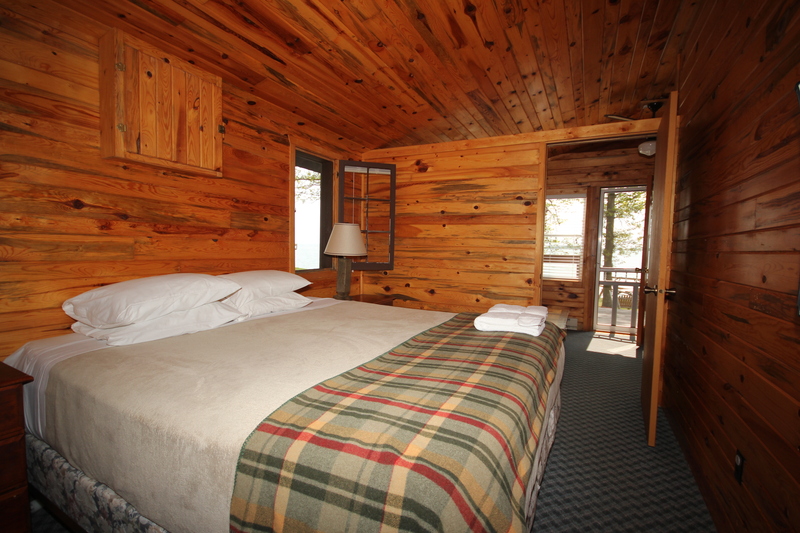 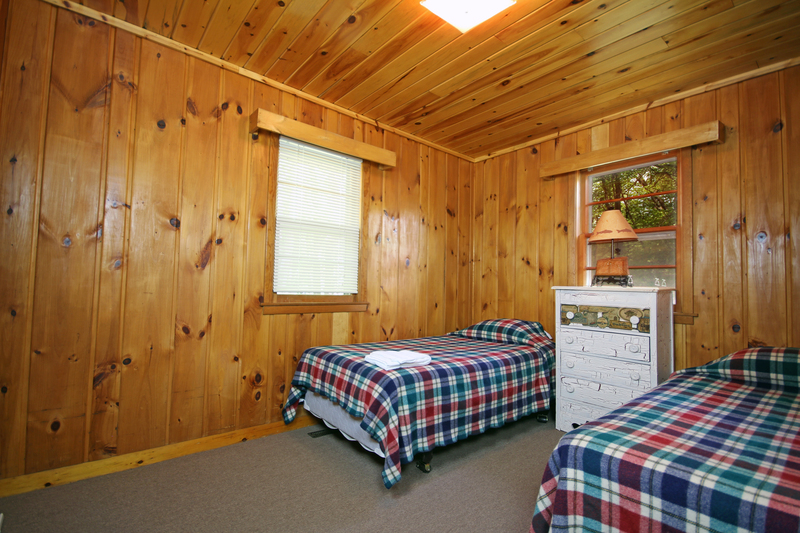 This cozy cabin is located on the water’s edge with one king bedroom, ¾ bath, complete kitchen and air conditioning. 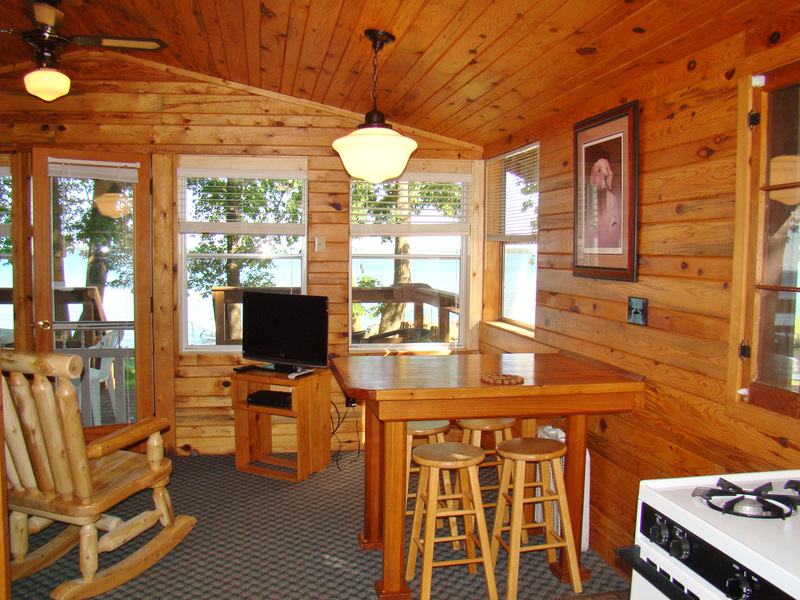 Enjoy the sundeck with beautiful views from your beach side cabin. 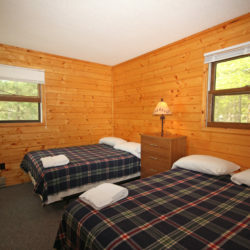 Rate is based on two and can accommodate four. 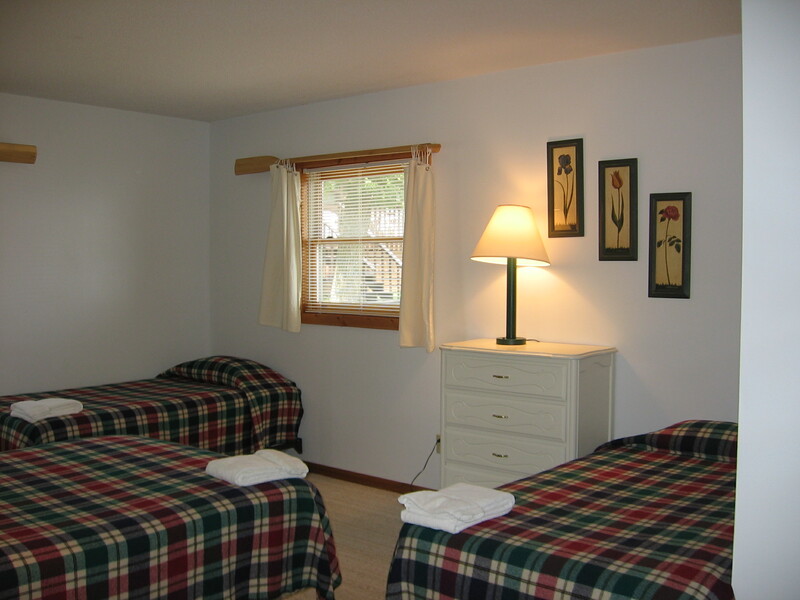 Children 3 years or younger are no additional charge. 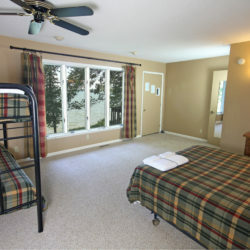 Additional person rate applies to all other guests. 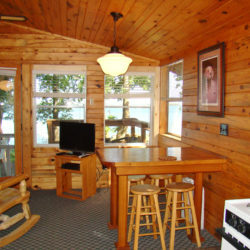 Dogs must be leashed and cleaned up after. 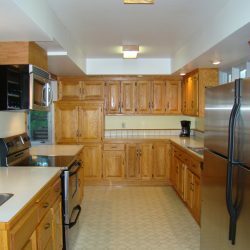 Damages are responsibility of pet owner. 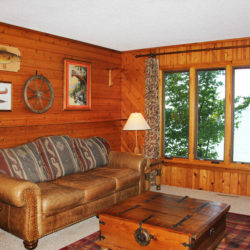 Pets must not be left unattended in the lake homes. 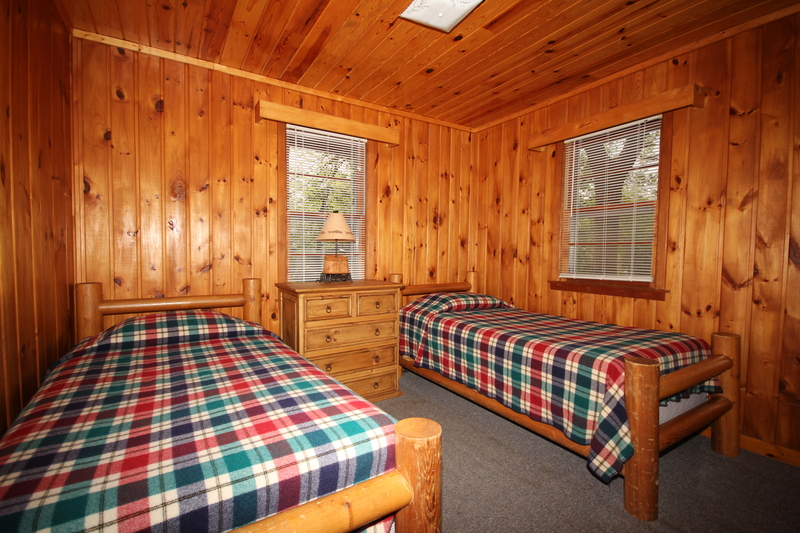 Please bring your own pet bed, food and water bowls. 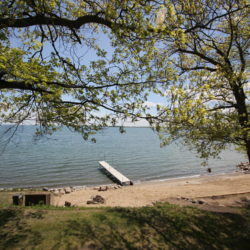 We do not accept American Express or Discover, No refunds for early departure. 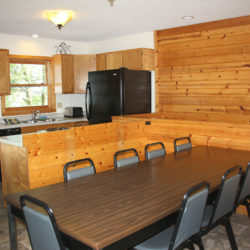 A credit card deposit of 30% is required at time of reservation. 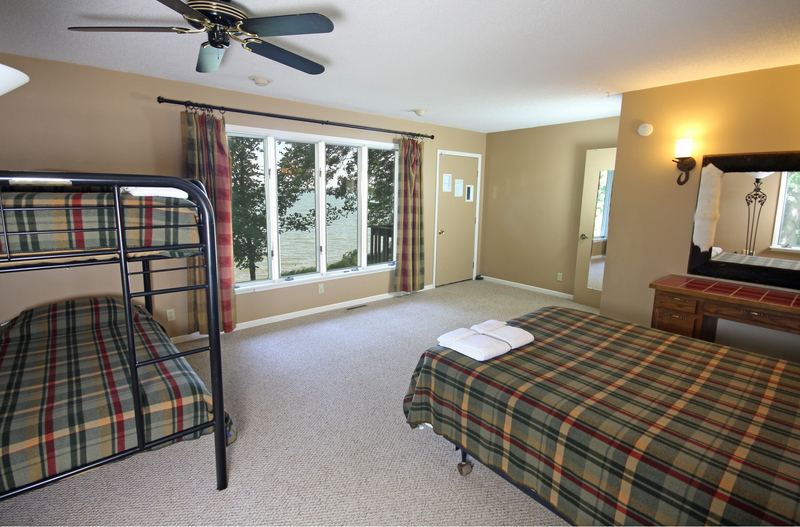 We understand that from time to time guests must cancel their vacation for various reasons. 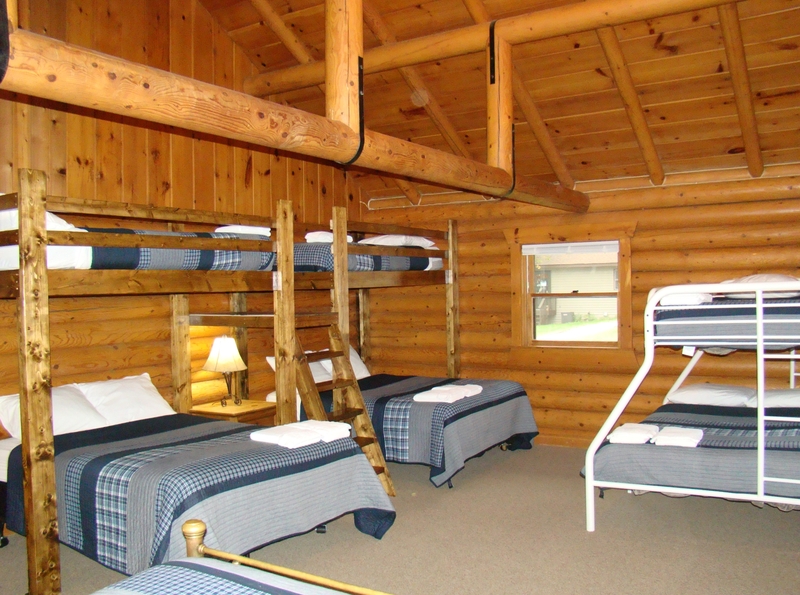 We hope you will understand that your deposit will only be refunded if we are able to book all cabins at the original rate for your reservation time, less a $40 cancellation fee. 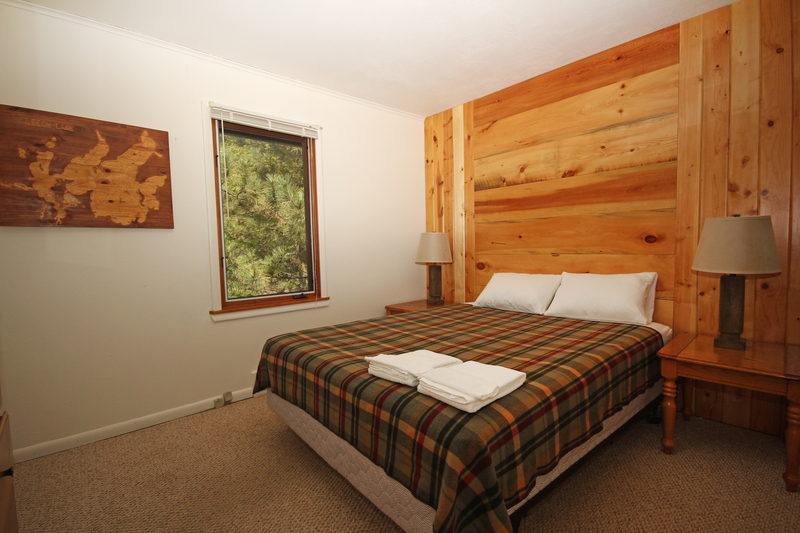 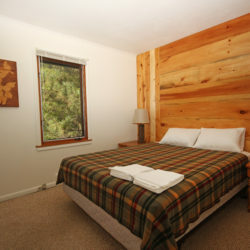 Cancellations after 21 days prior to arrival will result in a full charge of lodging and taxes. 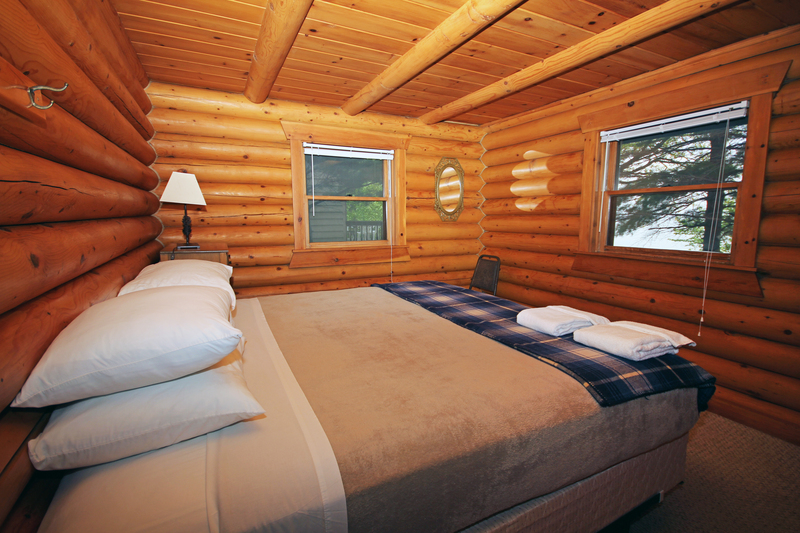 We certainly would prefer to have you visit us so please avoid late cancellations. 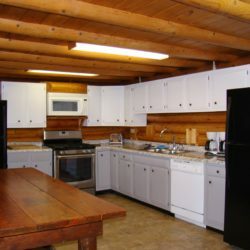 $35 charge on each returned check.